See. 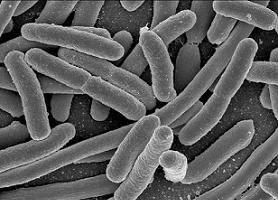 It's just like I told you--bacteria made me fat. I ate the same fried chicken and peach cobbler my sister ate, but she's a little sprite of a something and I'm rather more substantial. We need bacteria to convert stuff we eat into a useable form for our bodies. Scientist at Washington University in St. Louis have discovered that fat people's stomachs have higher levels of the "hardest working bacteria in show business" than skinny people's stomachs. Fat folk's bacteria converts just about everything that hits our stomachs, including fruit cake, into enengy, and what is not used for energy it's stored as fat.